Turquoise, the multilateral trading facility owned by the London Stock Exchange, is plotting further growth of its derivatives market, which could include emerging markets as well as pan-European products. Turquoise, the multilateral trading facility (MTF) owned by the London Stock Exchange (LSE), is plotting further growth of its derivatives market, which could include emerging markets as well as pan-European products. 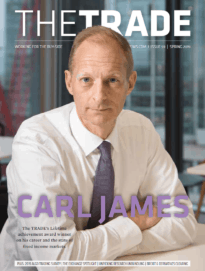 Speaking to theTRADEnews.com, Adrian Farnham, Turquoise’s CEO, said the recent move by the LSE to secure full ownership of index provider FTSE would be an important part of Turquoise Derivative’s expanded offering. LSE secured full ownership of FTSE in December last year, increasing its stake from the 50% stake it already held. The group also transferred the assets of EDX, which offers trading in Nordic and Russian derivatives, under the Turquoise Derivatives banner in May. The platform also offers trading in FTSE 100 index and options but volumes have so far been limited because of a lack of fungibility with NYSE Liffe, the derivatives bourse owned by NYSE Euronext. NYSE Liffe refused Anglo-French clearer LCH.Clearnet from offsetting the margin held against FTSE 100 derivatives traded on its platform with those traded on Turquoise Derivatives, meaning members are required to hold two pools of open interest for the same products. Since then, the LSE has entered into a deal to purchase LCH.Clearnet, while NYSE Liffe will from June 2013 terminate its contract with the clearer and bring post-trade services in-house. In the first six months of 2012, Turquoise Derivatives traded 8,480 FTSE 100 options contracts and FTSE 100 futures contracts combined, representing a value of US$744 million. Overall value traded across all derivatives on the platform reached US$32.02 billion in the same period, with the majority comprising trading in stock options based on the depository receipts traded on the LSE’s International Order Book. 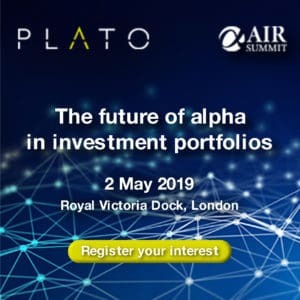 The ability of competing trading venues to stymie the growth of new entrants could be prevented in the future by MiFIR, the regulation accompanying MiFID II, which currently requires trading venues to provide open access to clearing houses and vice versa. “We are ready to capitalise on regulatory change to ensure we can grow our network, expand the products we are able to offer and further develop our post-trade services for derivatives,” said Farnham. Competition for derivatives trading is set to heat up following the announcement of Nasdaq OMX’s intention to set up NLX, an MTF for short- and long-term interest rate euro- and sterling-denominated derivatives in Q1 2013, as well as ICAP’s recent purchase of PLUS Markets Group stock exchange assets, which it plans to use for its own foray into listed derivatives trading.